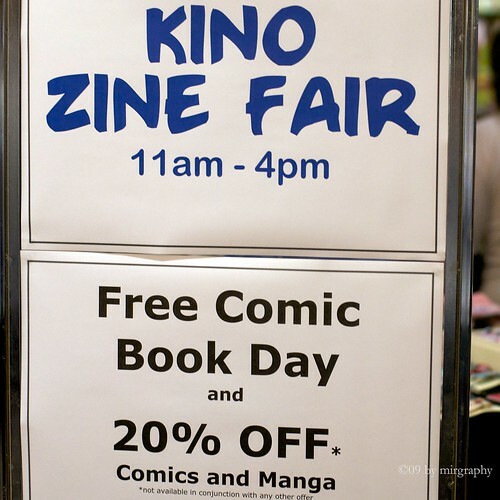 The zine fair season is definitely picking up in Sydney with Kinokuniya starting off with its zine fair a couple of weeks ago. 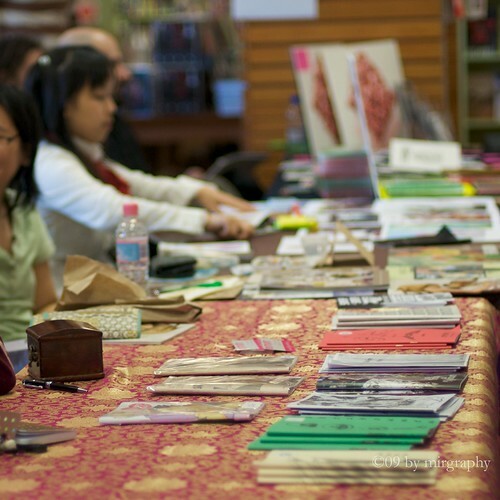 The MCA’s zine fair is on today in collaboration with the Writer’s Festival happening around the same time. I will be lurking around the MCA and issue 3 of Sharp and Pointy will be on sale thanks to Pirochan. Let me know what you think of the next issue if you do buy one! zine fair in the Foundation Hall. Visitors will be able to sell, buy or swap zines, listen to live bands and enjoy free guided tours of the exhibitions. Craig Schuftan of Triple J’s The Culture Club examines the rock star as outsider, and considers how loneliness, alienation, childhood illness and dungeons and dragons have shaped the life and art of Morrissey, Guns n Roses, Weezer and My Chemical Romance, and why Dostoyevsky and Proust are as important to the history of Rock as The Rolling Stones. 77% of Australians are racist, but a fair few of them listened, danced to and sang along with The Herd’s hit ‘77%’. Creative Dissent looks at the way in which artistic communities – satirists, bloggers, musicians and performers – challenge the status quo. It asks: Can a hip hop track, blog post or joke change the world for the better, or are they just more info-tainment adding to our collective media-overload? Featuring Ozi Batla (The Herd), Antony Loewenstein, Charles Firth, Alecia Simmonds and Amy Corderoy. Click here for speaker bios. Elaborating on the art and activism themes of Southern Exposure, exhibiting artist Andrea Bowers discusses the political aspects of her work and oppositional themes.